This is a great promotional product and with our extensive range of stress sports items you will be sure to find something to meet your perfect sporting needs. 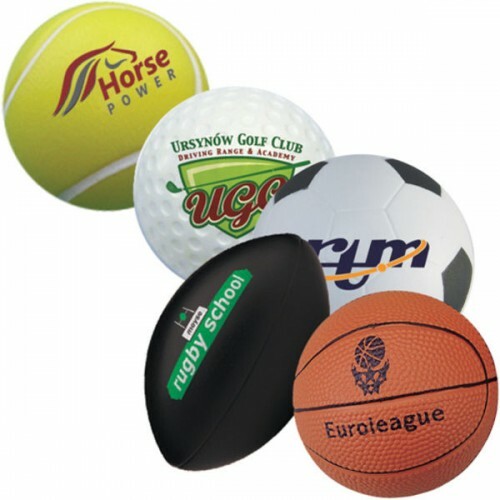 Manufactured from high quality PU foam meaning they are safe to play with indoors. Smaller than the real version but just as fun! Prices based on our S0014b Stress Football. Various colour and styles available, please call for more details. Prices are based on a 1 colour print to 1 position. The colours shown are only for guidance and cannot be taken as a true representation. Minimum order is 500 off.